VANCOUVER, Oct. 9, 2018 /CNW/ - Wahupta Ventures Inc. today announced its acquisition of Curran Technologies Inc. Located in Victoria, British Columbia, Curran Technologies Inc. (CTI) is an industrial manufacturer of high quality, closed-loop cannabis and hemp extraction. Curran's Nomad series of extraction units introduce advancements in cannabis and hemp oil extraction process that specifically protect the highly valuable terpines and other cannabinoids, making Curran an emerging extraction global leader. "We are tremendously proud to have the Trust, vision and faith of the Curran team with this acquisition. Understanding the importance of the quality of the crude oil product after extraction, this technology delivers the best in class! We are excited to grow and promote as an OEM supplier in hemp extraction." Says Warren D. Cudney President and CEO of Wahupta Ventures. "This is just another step toward our overall vision of bringing strong fundamentals and return on investment to all our shareholders present and future." Wahupta is already in discussion regarding a volume sales agreement of approximately 100 units, grossing an estimated $10 million by year-end 2019. Furthermore, as the leading producer of Hemp in Canada, Wahupta Ventures is now poised to dominate the Cannabidiol (CBD) market with its own internal corporate extraction division. 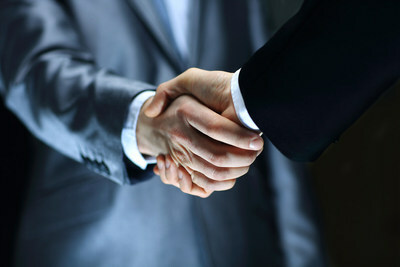 Pursuant to the terms of the agreement, Wahupta Ventures Inc. has paid, post-closing of the acquisition, $2 million CND. Wahupta Ventures Inc. is a privately held corporation owned and operated in Canada. Wahupta is headquartered in Canada and the US, with offices located in Winnipeg Manitoba, Burnaby British Columbia, Orange County California and Las Vegas Nevada. Wahupta is focused on the cultivation, production, processing, and extraction of hemp and cannibidiol (CBD), while simultaneously creating key collaboration with sovereign Indigenous communities throughout North America. It is Wahupta's core value to work with its partners to develop opportunities in communities that do not currently exist, and honor traditional values to addressing current conditions in their individual communities. For additional information, view Wahupta YouTube Video.